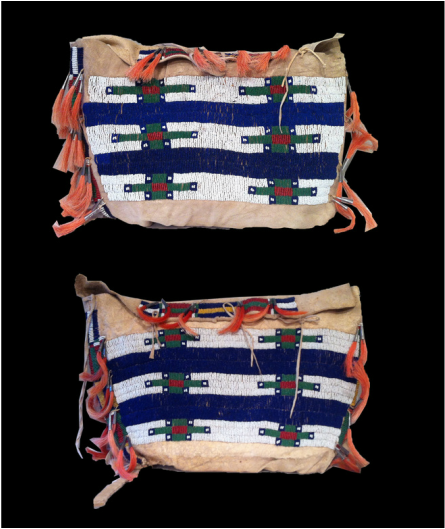 Pair of Lakota Possible Bags - late 19th century; 23" x 15"
This selection of beadwork from the Plains and Plateau has been obtained from private collections. 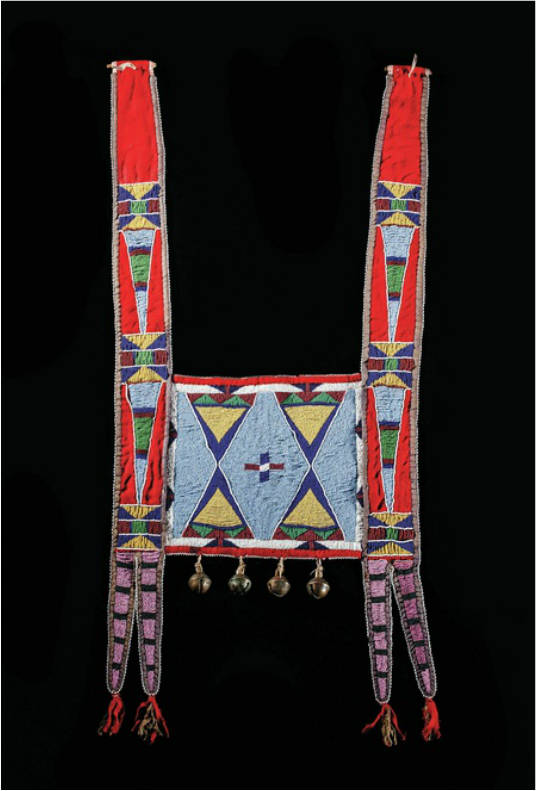 These private collections cover a wide range of geography from Washington State and Arizona, to England and France, and places in-between. 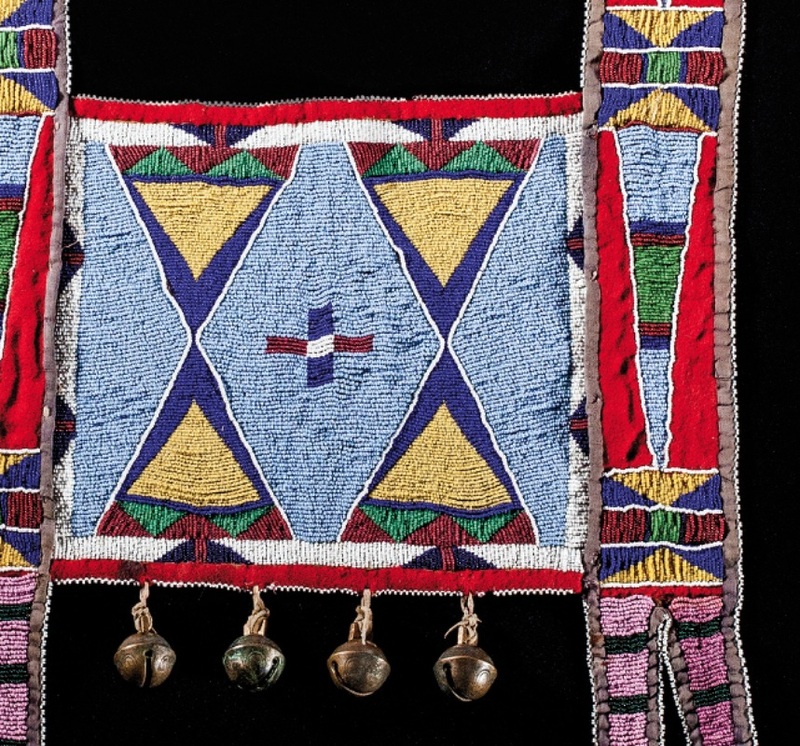 All of these collectors share an interest in the antique beadwork of the Plains and Plateau from a time period that has been called an American Renaissance. Please email us for the price list. 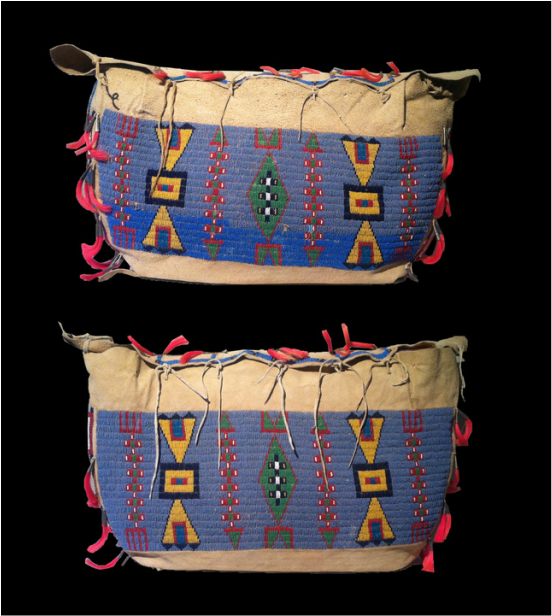 Pair of Lakota Possible Bags - late 19th century: 15" x 9.5"
One hundred fifty years before Gucci and Coach, Native American women were fashioning highly ornamented and prestigious possible bags. Today we seldom find them in pairs as they were originally made. 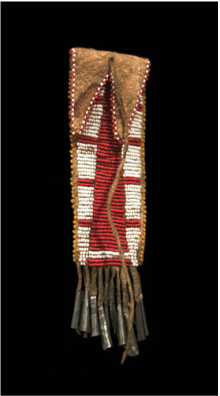 John Molloy Gallery is pleased to offer two pair in this online exhibition. 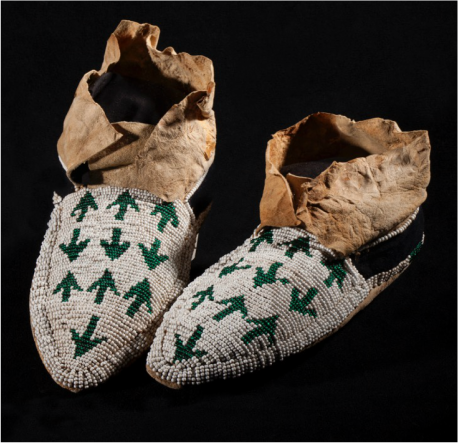 Cheyenne Baby Moccasins, circa 1900, 2.5"x 5.5"
Yakima Pony Beaded Moccasins - circa 1850 to 1860 - formerly in the Southern Oregon Historical Society. Only known extant example. 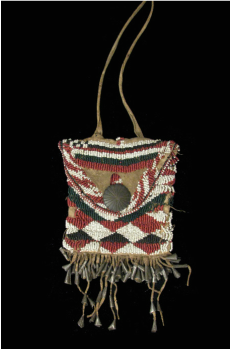 Warm Springs Pony-beaded Model Cradle - only know extant example - circa 1850 - 60; 5" x 12"
Arapaho Knifecase - circa 1875 - 85; 2.5" x 13"
Ute Tab Bag - 1875 - 85; 3" x 8.75"
Arapaho Whetstone Case - last quarter 19th century - 1.75" x 5"
Apache strike-a-lite with Navajo button, circa 1900; 4" x 4.5"
This 19th Century martingale is a stunning example of classic Crow beadwork.